Monday, Tuesday, Thursday, and Friday, 8 a.m. – 5 p.m.
Wednesday, 1 - 5 p.m. The Prescription Assistance program helps people with limited incomes fill their prescriptions through vouchers and applications to drug company programs. The service is open to residents of Fort Collins and northern Larimer County who meet household financial guidelines and who don't have insurance for prescriptions. To use the program, you must have a current prescription from your doctor. If you don't have a doctor or think you can't afford one, we may be able to help you find medical care. After you get a doctor and a current prescription, we can help you get your medicine. Call the Prescription Assistance office at 970-416-6519 to schedule a preliminary eligibility screening. You will need to provide information about your income, address and medications. If you appear to meet the program guidelines, we will send you an application packet by mail. Once you return the completed packet, we will schedule an appointment to determine if you are eligible and which combination of vouchers and patient assistance programs best meets your needs. Vouchers — We work with local pharmacies to help you buy medicine using vouchers. You pay part of the cost. The number of vouchers per month is limited. Each voucher is good for a one-month supply of one medication. If you need additional vouchers, you must request a voucher from us every month before going to the pharmacy. 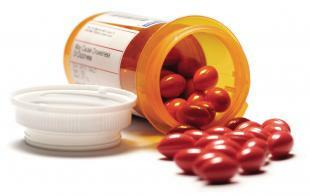 Patient Assistance Programs — Some drug manufacturers provide free or low-cost medications. We help people apply for these programs but the manufacturer decides who qualifies. Approval usually takes four to six weeks. Medications are usually sent to the prescribing doctor in a three-month supply. Re-application is required every two to three months. Call 970-416-6519 to schedule a preliminary eligibility screening.